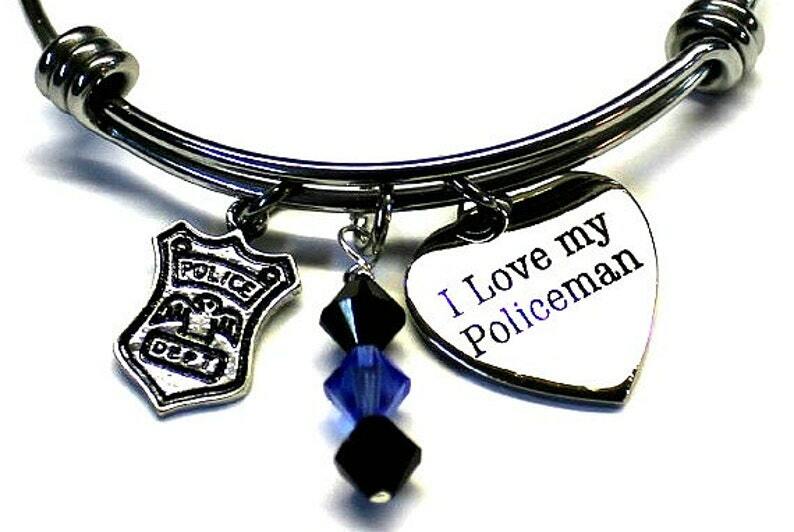 The I love my policeman charm is stainless steel. The police shield charm is lead free pewter. The blue and black gems are Swarovski crystals.